The Australian Transport Safety Bureau (ATSB) reminds passengers using battery-powered devices that take good care of their battery powered devices during flight, following a recent incident. 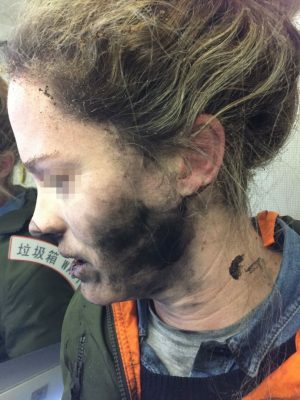 On a recent flight from Beijing, China to Melbourne, Australia, a passenger was listening to music using a pair of her own battery-operated headphones. The battery and cover were both melted and stuck to the floor of the aircraft. Flight attendants returned to check on her wellbeing. For the remainder of the flight, passengers endured the smell of melted plastic, burnt electronics and burnt hair. As the range of products using (lithium) batteries grows, the potential for in-flight issues increases.